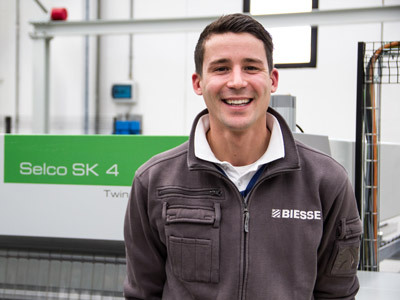 In positioning itself for the future, WB Manufacturing already is taking the next competitive step: Industry 4.0, where production is networked with little to no operator interface thanks to Biesse equipment. WB Manufacturing makes a great case for technology investment and integration. 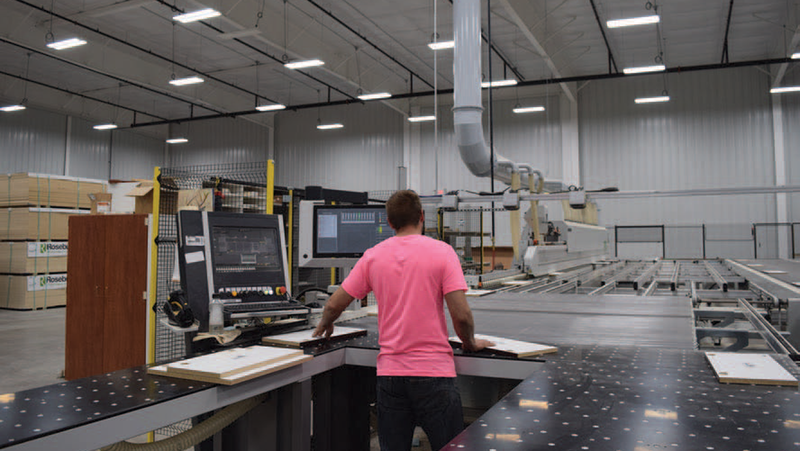 Less than a year after a major plant expansion, the Thorp, Wisconsin-based cabinet and caseworks manufacturer already is reaping a return on its $1.6 million equipment investment while taking Industry 4.0 – networked production – to a new level. “We’re close to meeting our expectations “The computers think ahead and do all the work,” Kent Barby, Casework production manager and engineer said. 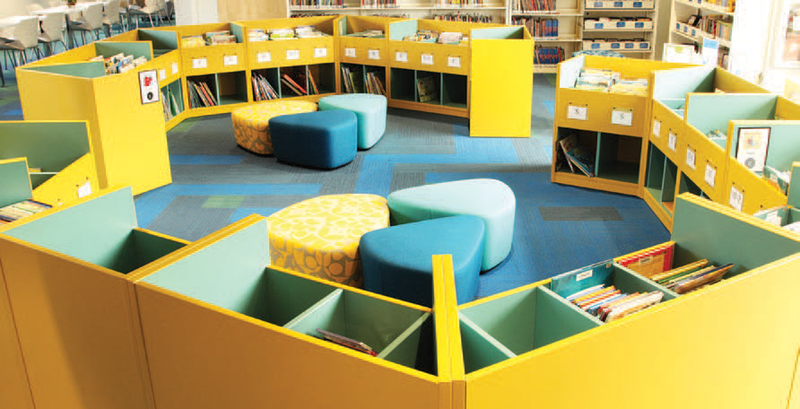 The high-tech workcell was installed this spring in the Caseworks department, and already the company is seeing increased productivity – and profit potential – from the $1.6 million investment. 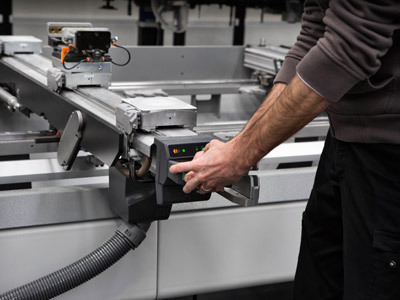 The lean workcell begins at the Biesse Winstore automated material inventory system which “looks ahead” to WB’s manufacturing needs and efficiently selects and transports the correct panel to a pair of two-axis labelers. The labelers feed into a new Rover B CNC router equipped with a 42-spindle drill head and a Weeke BHP CNC router with automatic tool changer. 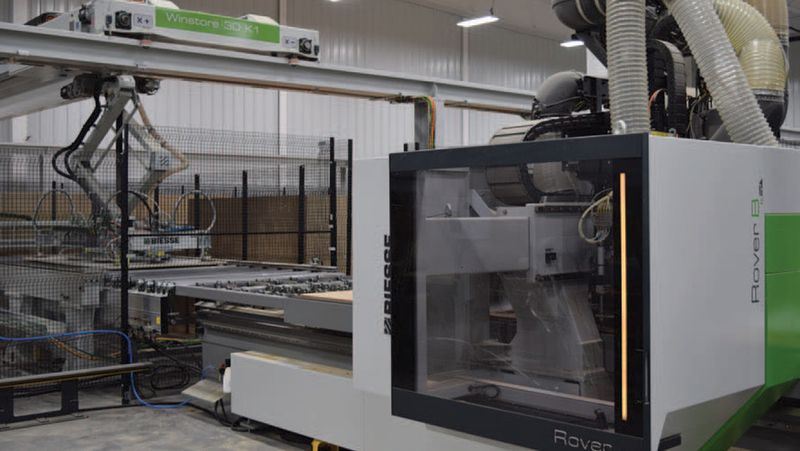 From the router, panels are sent to the Biesse Stream edgebander equipped with an automatic tool changer and grooving station that can rotate from 0 to 90 degrees. Barby noted the station has the added benefit of eliminating the dado operation from the router, increasing the efficiency at the machine. At the Stream edgebander, bar code readers positioned above the machine automatically scan the label, which contains all the part information, including the banding material – size, color, type – and the required machining operations, and relays the information to the edgebander’s controls. The machine determines if edgebanding is needed on one, two or more sides, for example, and will automatically offload the part or return it to the queue for further machining, Barby explained. 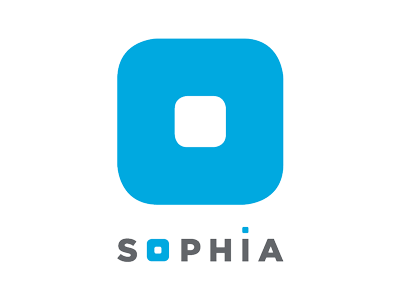 The technology integration resulted in an exponential increase – approximately 40 percent – on the throughput at the edgebander alone, he added. My operator now spends almost no time at all on machine setup.